Take your Today’s Journey Tarot experience to the next level. 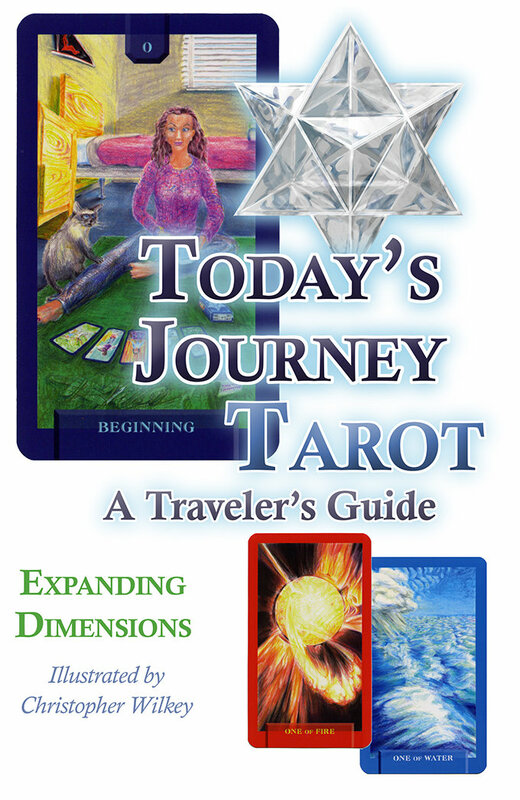 Today’s Journey Tarot, A Traveler’s Guide, is the essential companion book to Today’s Journey Tarot deck. Explore expanded descriptions, commentary, and primary concepts for each card. Lift the veil shrouding the Tarot’s ancient wisdom. Today’s Journey Tarot deck is the perfect tool for the modern Tarot enthusiast. Everyday experiences come alive with the power of archetypal imagery. The skilled reader will find the contemporary symbolism refreshing and easy to convey to clients and students. The beginning reader will find the real life situations easy to understand. Expanding Dimensions, the book’s authors, are from Louisville, Kentucky. For more information visit www.todaysjourneytarot.com.